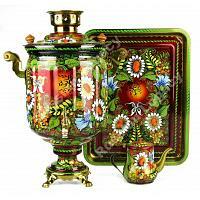 Bright set comprising electric shot-shaped samovar, ceramic teapot, and tray. 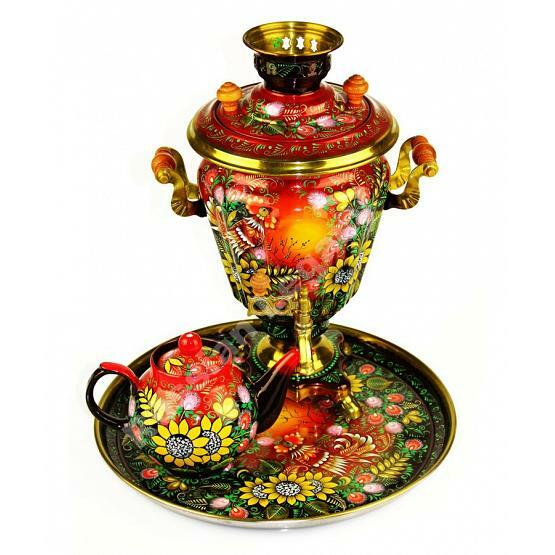 Samovar (derived from samo - self and var - boil/cook) is a metal vessel traditionally used in Russia to boil or heat water. 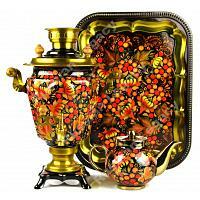 All items are made by talented artisans and hand painted using heat resistant materials. 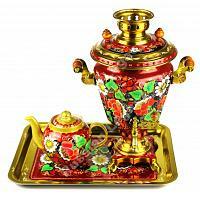 Samovar is coated inside with galvanic plating to ensure safe use of boiled water. 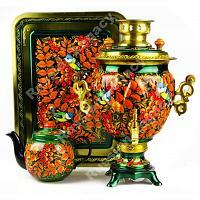 Height: 13.8" (35 cm). 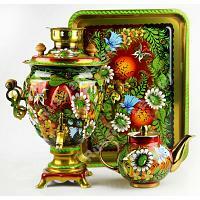 Volume: 95 fl. oz (2.8 l). Power: 1 kW @ 110-220 V. Just an adapter is required in countries that do not use European plugs. Note: color/design may differ. 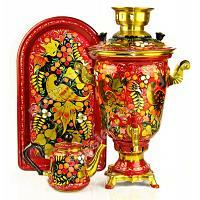 We suggest to keep teapot off hot samovar. Ships within 7 business days.